A nationally recognized speaker, research contributor, and book co-author of “Smart Cities: Applications, Technologies, Standards & Driving Factors”, Karl has lived in Austin since his teen years and is a longhorn graduate. Currently, he is the Manager of Electric Vehicles & Emerging Technologies at Austin Energy and is the Principal Investigator on several U.S. Department of Energy funded and award-winning projects advancing transportation electrification, renewables, energy storage, and “virtual power plant” technologies. He is the electrification lead for Austin’s Smart Mobility Roadmap that includes autonomous transportation and was a core member of the Mayor’s Smart City Challenge team. Previously he served as Austin Energy’s interim Chief Information Officer, a Managing Director at Hewlett-Packard Services, Director at Cap Gemini Ernst & Young, and a Captain in the U.S. Army Corp of Engineers. For our March happy hour, Jim Walker will give an overview of the UT Austin Sustainability Master Plan and specific initiatives related to energy and renewables. He will share his perspective on how university efforts fit into the broader context of City of Austin and Austin Energy efforts, as well as higher education in general. 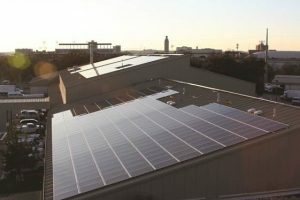 The UT Austin Sustainability Master plan was adopted in 2016 and updated in 2018 and sets a goals for the university out to 2030. Jim Walker was appointed Director of Sustainability for the University of Texas at Austin in April, 2009. He works closely with the President’s Sustainability Steering Committee on the UT Austin Sustainability Master Plan and is the university’s USGBC Liaison related to LEED and SITES on new capital projects. 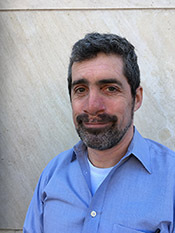 Jim has a Masters in Community and Regional Planning from the University of Texas at Austin and is a member of the American Institute of Certified Planners. 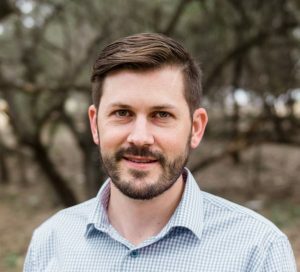 Jim currently serves on the boards of the Mueller Foundation, the USGBC Texas Chapter, and Earth Day Austin, and recently served on the City of Austin Joint Sustainability Committee. Jim is originally from Oregon and accidentally moved to Austin in 1992. He was introduced to sustainability by Pliny Fisk and Gail Vittori at the Center for Maximum Potential Building Systems, and soon after by Lars Stanley, FAIA, LEED AP and Girard Kinney, AIA. Although our happy hours are free and open to all, we hope you’ll consider donating to Solar Austin. Help us keep solar energy growing in the Austin area. You can purchase a ticket to the happy hour or go to our website, solaraustin.org, to donate and avoid fees. For regular updates on our Happy Hours and more information about Solar Austin, follow us on Twitter and like us on Facebook, and sign up for our email list via solaraustin.org. 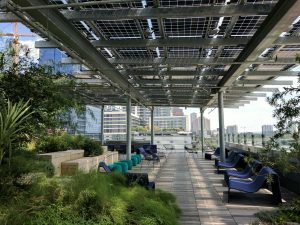 This month we are hosting a panel on how to make the solar industry more inclusive, equitable, and diverse for our November 2018 Happy Hour. Karen Magid, Director of Sustainability and STEM at Huston-Tillotson University. When: Tuesday, November 27th, 5:30-8:00 p.m.
RSVP now for this engaging and important conversation. The panel will examine barriers that employers face to systematically make businesses, nonprofits, and the industry as a whole, more welcoming, inclusive and accountable spaces for underrepresented people and some of the solutions to these issues. This includes examining why people of color, women, LBGTQ+ people, and others often remain excluded from businesses’ recruitment strategies and leadership development. Panelists will discuss best practices for outreach and inclusion, as well as retention and leadership development to help minority employees succeed. The discussion will a look at how to ensure an organization’s leadership understands the root causes of employment inequity and how to address the inequities that current and employees prospective employees face.